XeRoZ was so keen to photograph Putrajaya nightview using his DSLR. He asked Ju Yau to join along. As for me and Wern, though we are dying to stay at home watching TV, we reluctantly tagged along for the photography session. Without hesitation, i took my Canon Digital Ixus 60 which is 6 yrs old and took photographs of Putrajaya as well. I also played around with some buttons. 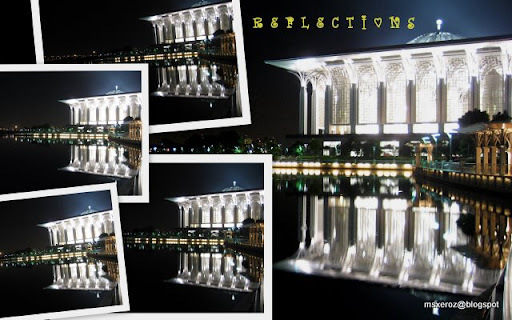 Well, i spent 2 hours in Putrajaya- the only nice photos are all posted in this blog. The rest??? Guess that my desire of owning a brand new, more sophisticated camera is burning deeply within my heart. Hopefully, i'll earn enough to get myself a camera! Wish me luck!! !